Contents: A wrap, apple slices, ministrone soup, grapes, carrots, ranch and milk. this is a improvement,it shows someone is trying to get it right! 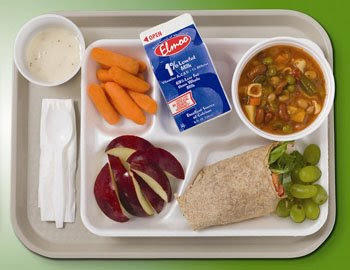 The soup is probably not minestrone, but regular school cafeteria soup, made from leftovers & ketchup. And yes, a major improvement over what I saw when I was teaching!